During the Tri-Club Rotary meeting on October 2, 2018, Bowmanville Rotary Club President John Burns offered up a tribute to fellow Bowmanville Rotarian Bob Stevens. 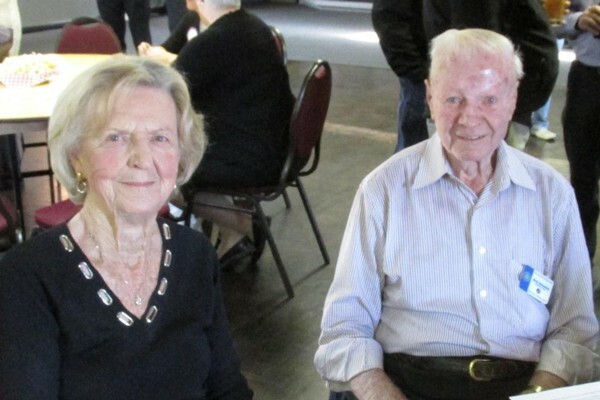 Born May 8, 1928, Bob turned 90 this past spring and today was celebrating 67 years as a Rotarian. Bob still has his drivers license and rarely misses a meeting. He was Club president during the 1966/1067 Rotary year and earned his first Paul Harris Fellowship in June 1987. In February 2017 Bob was awarded a PHF+5. Bob exemplifies everything Rotary is about. Congratulations, Bob!